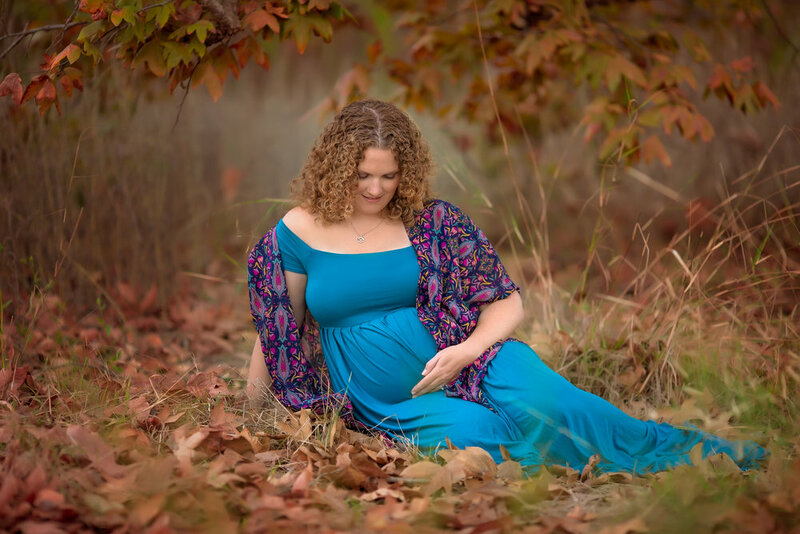 When I was on a search for a few expecting mommas to model my fall collection of gowns, I met Jenny! Her smile was infectious, and that hair -- amazing right? 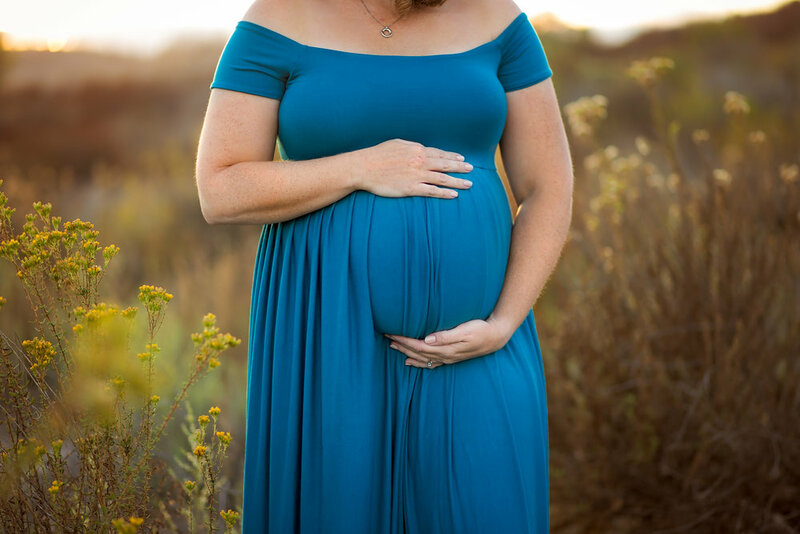 We agreed that she would be perfect to model this stunning gown by Sew Trendy, and teal was one of Jenny's favorite colors (which she totally rocks!) so it was all meant to be! 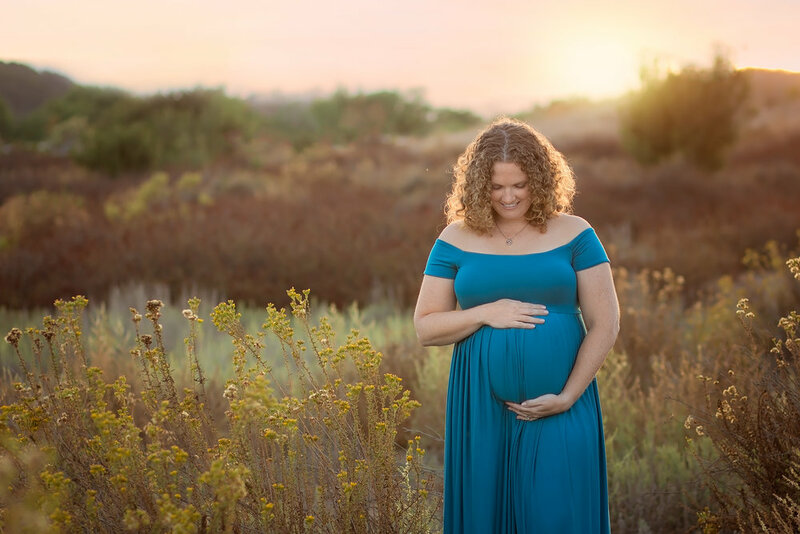 The day of our shoot we met close to sunset, and that glow of the sun coming thru the Penasquitos Canyon and shining softly thru her curls was incredible! The pops of burnt orange, browns and yellows created a perfect backdrop for the gown, and made her stand out! 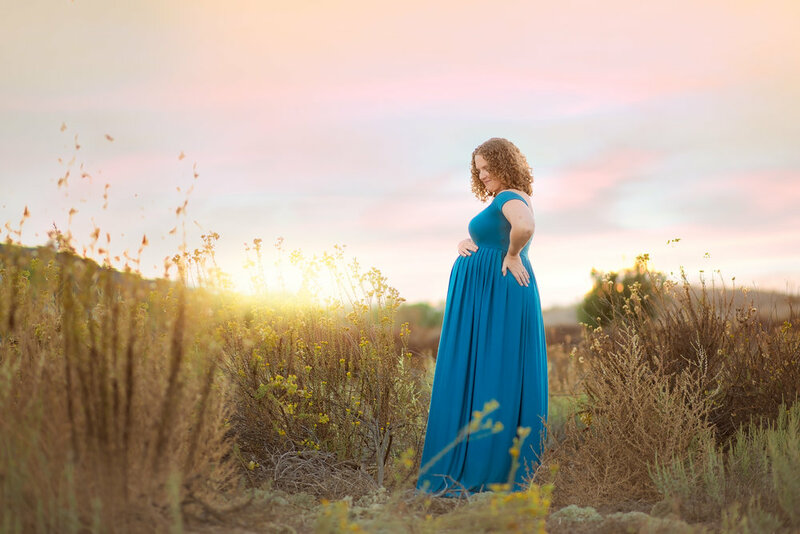 I am so excited to meet her little one in the next few weeks!